We are very pleased to announce that an important dataset has been added to the Members’ Area of our website, thanks to the generosity of Peter Russell (of the Somerset & Dorset Railway Heritage Trust). Together with Colin Divall, Emeritus Professor of Railway Studies at York University, he has been studying the railways around East Dorset, including the careers and families of those who worked on the railway from the 1840s to the 1970s, particularly in the Wimborne area, where both Peter and Colin grew up. With the help of genealogical research undertaken by Peter’s wife Kay, they have compiled a dataset from all useful sources, including census records, railway company staff records, books, magazines, deposited archives, community memory, etc. 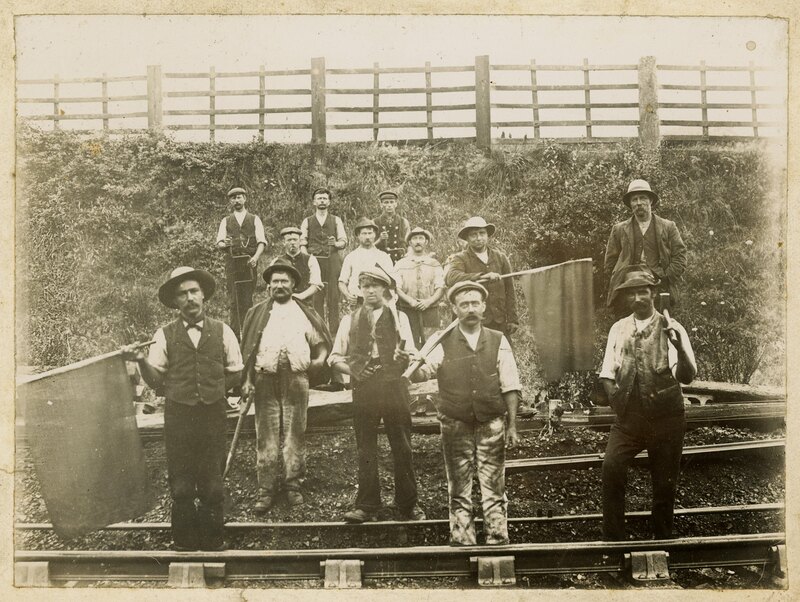 Although focused on the Wimborne area, many staff progressed up the staff hierarchy and/or moved between locations for career progression or other reasons, so if your ancestors worked elsewhere on the railway, they may still be included in the dataset. Please do check it out. The track gang covering the Wimborne Junction to Corfe Mullen Junction section of the Somerset & Dorset Joint Railway. The location is thought to be north of the S&D loco shed at Oakley Lane. 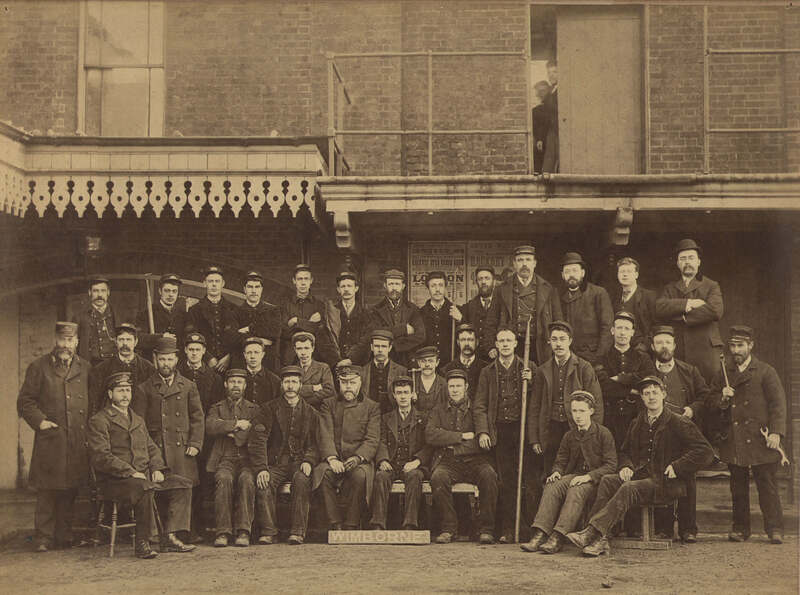 The ganger (responsible for the gang) is thought to be the figure with the flag at front left, John James Everett. No other names are known but members of the Burt and Guy families may be present. The date is circa 1920s. Photograph: Alfred Whitaker, reproduced courtesy of the David McGhie Collection. This entry was posted in Uncategorized and tagged Burt, Champness William Edwards, Dorset railways, Guy, John James Everett, Priest's House Museum, Somerset & Dorset Railways Trust, William Forward, Wimborne. Bookmark the permalink.